I seem to be determined to push myself out of my comfort zone this year so far! I've mentioned the "Spitfire Challenge -100k in 100 days" I'm signed up to for the RAF100 celebrations I think - that challenge is being run by the RAF Museum and I've already committed to the idea of running the distance for that one. It should be relatively achievable for me, looking at the mileage I've run so far this year, so long as I can continue running my standard sort of distances and at my current sort of frequency. I've also now entered a second "RAF 100" related challenge - another virtual one, meaning that you cover your chosen distance within the timescale and then submit your evidence to receive your medal. This one is a little different though as rather than setting you a target to aim for, this asks you to set your own challenge. Harder in some ways as it comes down to striking a balance between something that is a challenge, but still should, with a push, be achievable. It was further complicated for me by me wanting to do something around the "100" years of the anniversary, but not wanting to make it so tough that I stood a chance of injuring myself and mucking up my chances of completing both. In the end I have settled on making that second challenge a combined walking/running distance - and the target I have set myself is 100 kilometres total distance covered in a 7-day period. 100 Kilometres = 62.137 miles - and the furthest I've ever managed to cover in a single week in the past is 53 miles, so make no mistake, this IS a proper challenge! I'll be counting all my time on my feet walking or running throughout the week, and will be using my FitBit to count distance covered - as much as possible I will track walking by using the Fitbit > Phone GPS connection to try to keep it accurate - however, where I forget, or choose not to for any reason, it will actually make my task harder as my Fitbit currently underestimates the distance I cover when I walk if it's not tracking via GPS! Running during that week will be tracked by Strava or my running watch and all running will also be counting towards the Spitfire Challenge. I've very deliberately said "a 7 day period" too as this gives me some flexibility with fitting in one long walk that MrEH and I have planned which if we can complete it would give me around 15 miles on its own. I said I wanted to challenge myself this year and so far I really feel that I am. It feels exciting to be doing new things, and to be doing things I never imagined I would be able to - At the weekend I clocked up my fastest mile running so far, running it in a pace of 8.47 minutes and knocking a hefty 16 seconds off my previous best time over that distance! That's not fast by the standards of serious runners (A friend routinely runs 5k distances in well under 20 minutes!) but for me it felt like a massive achievement. At the point at which, about half a mile in, it got tough, rather than giving up as I might have done previously I reminded myself what I wanted to do and dug in a bit deeper. I'm trying hard to, rather than making excuses about what I can't do, to work at the things I can. Aims for April now then are to complete the walk/run challenge, and to get as many miles in the bank for the Spitfire challenge as I can. I'd also like to start to increase my running distance a little - with a possible thought of aiming towards a 10k distance run towards the Autumn. 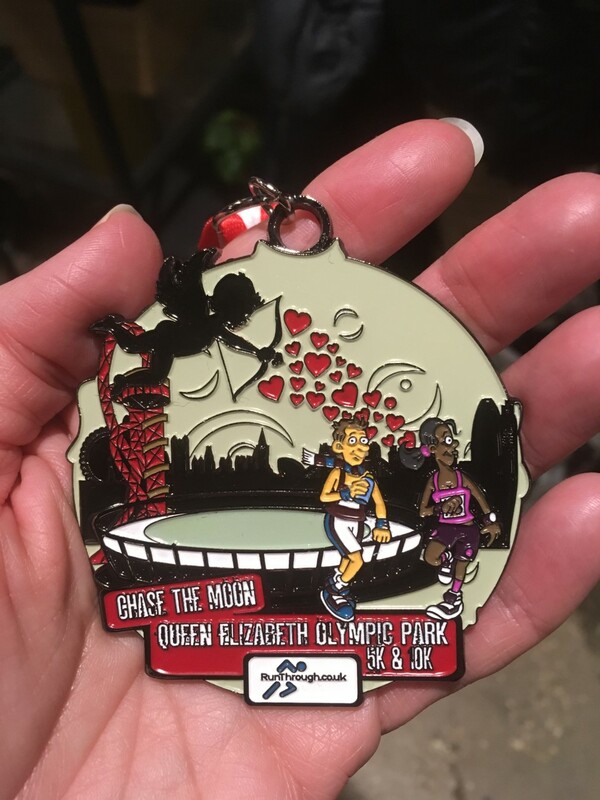 I'm intending to get to some more parkruns, and want to do at least one more organised chip timed 5k - possibly back at the QE Olympic Park, possibly around another (and rather older) London Park - so watch this space for news on those. 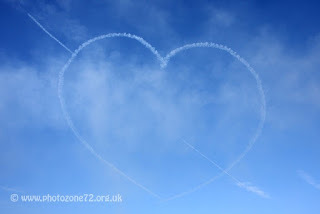 My running/walking for the two challenges will, in the light of recent events, be done in memory of Corporal Jon Bayliss of the Royal Air Force Aerobatic Team The Red Arrows. Jon sadly lost his life in an incident at RAF Valley last week, an incident which also left Red 3 from the team - Flt. Lt. David Stark - in hospital. I'm currently trying to work out whether I can do any fundraising around the two challenges and will update further on that when I've established what is doable - the entry fees for both already involve charitable donations however so I'm unsure of what more I am allowed to do. 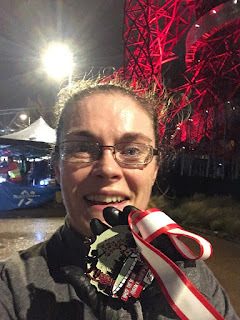 Firstly I need to thank the lovely Snoskred for her comment on my blog about running the other day - with details of the running watch that she uses and finds to be excellent. I had another browse around online yesterday evening with this information in mind - the watch that Snoskred mentioned did indeed look like it might work for me and at the right sort of price as well coming in even brand new at around £30 cheaper than my preferred Garmin Forerunner model. I'd been keeping an eye for second hand Forerunners on the Bay of E but so far nothing had come up at a price I was happy to pay for a "pre loved" item. I'd already decided that I'd happily purchase the black strap version of the watch rather than my preferred blue, on the basis that I could subsequently buy an after-market strap in my favoured colour in any event. Stock image - not my photograph. 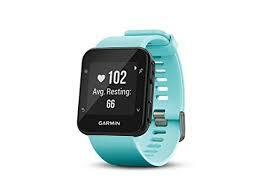 ...yep - that's the exact Garmin Forerunner 35 I had been coveting, in the colour of my choice..and the price? £99.99 for a brand new one. No brainer! I'd hit the "purchase" button almost before I could think - this is nearly £30 cheaper than the best price I'd seen, and only £6 more than one of the Second hand ones I'd been watching had sold for! It should be with me early next week and I'm very much looking forward to getting it all set up and seeing how it works for me! I've read before that if you search for particular items online Amazon will often personalise its deals to you, and this really does seem to suggest that it's the case - had I bought this when I first looked, in this colour, it would have cost me £134 (£129 in the black) so this is definitely a situation when a "wait for a few days to think about the purchase" approach can pay off! Thanks Snoskred! I'm still so new to this exercise/running thing, that I am learning each and every time I go out for a run, go to the gym, or indeed even just do some reading on the subject. I got a short sharp reminder of this last week which caused me to reflect on lessons learned. I got home from work last Tuesday evening, it was still daylight and I was keen to get out running. It was the first time this year that I'd been able to do a daylight evening run and felt like finally spring was really on its way! So out I went, and had a terrible run. Not just bad, not "a bit harder than usual" but truly terrible. My legs felt heavy and sore, by halfway round my breathing was dreadful, wheezy and uncomfortable, on arriving home my fitbit confirmed that as I thought, my heart rate had been through the roof for most of it. I felt utterly demoralised and more than a little baffled, asking myself why, what I'd done differently, was there a physical cause - indeed the last time I'd honestly felt that bad running was before my admission to hospital last year, and I was fairly sure that my iron levels couldn't have dropped again, and certainly not that far! I passed a few days feeling sorry for myself, and also if I'm honest, very worried. I felt physically OK - maybe a little low on energy but nothing more, but my head wouldn't let up up, whispering constantly "Yes, but what if..."
Some advice I got given when I was ill was that I'd recover from the physical side of things very fast - blood transfusions do that, effectively "re-setting" your body back to a proper level - but that just because I'd bounced back fast I shouldn't forget that I HAD been seriously ill, my haemoglobin & ferritin levels were critically low on admission, and that sort of level of illness has mental effects as well as physical ones. The mental effects, I was warned, would take rather longer to recover from. This was the first time I'd encountered this though, so it wasn't until a conversation with some friends a few days later than I recalled what I'd been told, and began to think about things slightly more rationally. By yesterday morning I felt mentally ready to have another go - I knew I had to do it at some stage, my natural stubborness wouldn't let me do otherwise, but I felt so let down by my body it took quite a lot to gird myself to get out there. However the sun was shining and having mulled over several different route options I decided just to go with a gentle confidence building short loop, starting out on the trail through the woods as I knew that would slow me down a bit to start with, and I really wanted to keep the pace easy. That turned out to be very true - the trail through the woods was far muddier than I expected and so the first few minutes were by necessity a sort of mince along, hopping from dry-ish patch to dry-ish patch in the hope of avoiding ending up on my behind! I was quite glad to get to the track and turn back onto a more stable surface. From there all went smoothly - the first half mile or so was, as ever, a degree of mind over matter as I kept telling myself that yes I was fine, yes it would get easier but then it settled down and sure enough I found myself positively enjoying it - it felt lovely to have the sun shining on me and I even started to feel a bit too warm which was a novel experience! I started to struggle as I turned up the long steady hill towards home, and part way up decided to stop before I reached the point where it was a serious struggle - could I have carried on? Probably yes, but this time I erred on the side of caution. I used the walk back to home as part of my cool down, got home, paid careful attention to stretches and then checked out my stats on Strava - and what I saw surprised me. We'd done a Metafit class on Sunday morning - a brutal short HIIT session - and this weeks workout was seriously hard on the legs. I took Monday as a rest day, which I knew would be needed, but if anything my legs felt even more sore on Tuesday - and it was joint pain rather than muscular too. I still ran because it was daylight and I wanted to get out there, not because it truly felt like a good idea. The lesson there then - listen to your body and take an additional day of rest if things don't feel right. "Need" over-rules "want" on this, every time. I've been neglecting the "little things" - not enough strength work, not enough sleep, diet's probably slipped back a bit, not warming up properly pre-run and not enough stretching either - and all this stuff starts to add up. My average weekly mileage has dropped over the past few weeks - not just running but walking miles too - in short I'm just moving less than I was at the start of this year. On Tuesday night I did at best a "half arsed" warmup and then set off too fast to boot - neither of which are ever likely to make for a great run. My sleep hadn't been consistent in the days running up to it either, and my focus on the small strength building exercise sessions had dropped to almost nothing - I'd still been going to the gym, and adding in those Metafit classes, but I've done almost no short HIIT sessions of core or legs work for weeks. For my body to cope with running it needs the investment of time in the strength stuff as well - another lesson. I've started worrying more about "where to next" on the running without taking a pause to just enjoy where I am right now - and I need to dial things back and remember that yes, people keep demanding to know when I'm going to be doing a 10k then, or what my aim is for my next 5k - but that's their expectations, not mine, and just because I answer "possibly never" to the first and "to run it" for the second that doesn't mean I'm not pushing myself, or somehow failing. This needs building from the ground up - so having discovered I can run, I now need to focus back on the small stuff and then start making small wins from there. I'd also started stressing about the RAF100 "100k 100 day" challenge that I have starting next month - and that I think has been holding me back a bit as I've been worrying more about "what if things go wrong and I can't complete it" than remembering that actually, it IS a relatively small weekly commitment (as long as I run a little over 7k each week on average, I'll complete the challenge in the time), and that I am more than capable of getting in that sort of distance. This week then - it's "back to basics" for me - increasing footfall again generally, aiming for a consistent bedtime right through the week, making sure I spend at least some time each day stretching, and at least 5 minutes of warmup time before I run. I've already done one HIIT session and will aim to do several more through the week - I can enlist MrEH's help on this as he's a fierce taskmaster at getting me working harder than I would push myself. Similarly on stretching - he takes me through a sensible progression of stretches targeting the right areas. I'm aiming to run a couple of times and if both feel OK both physically and mentally then I might add in parkrun on Saturday at my favoured Gunpowder Park course - no pressure on that one though, I'll see how it goes as first I need to rebuild the confidence that I actually can run that distance still! Above all, I want to get back to just enjoying myself - otherwise there's no point in doing it, is there! This time of year is famed for people having their "Lightbulb moment" in relation to debt & finances - the "LBM" is something we refer to a lot over on the Money Saving Expert forums - it simply refers to the point at which someone has that blinding realisation that their situation is not a good one and that they really want to do something about it. It takes different forms for different folks - for some people it is a sinking acknowledgement that if they don't sort things RIGHT NOW they are going to go under, while others may find that it arrives as a more gradual thing of thinking "I don't like where I'm heading and I want to sort it out". Ours - over 10 years ago now - was as simple as stopping looking only at the immediate and starting to think ahead - that made us realise how much money we were wasting each month on paying off a loan, and on overdraft fees. In real terms we had enough money to go around, we just weren't handling it well. For the person who has just felt that lightbulb blaze into life, things can feel incredibly daunting - and one of the reasons for a lot of people backing off at that stage is a total lack of any idea where to go next with sorting things out. If you've spent years financing things with credit, and thinking of that as "just what people do" then to change that mindset to "I don't want to use credit any more" can be a huge step to take. When you DO reach that point of no longer needing to rely on the cards though, it's the most incredibly rewarding feeling! The first step to take is not to change anything until you have all the information you need to do it properly - and this can feel counter-intuitive when you're just desperate to start putting your new-found enthusiasm for all things money-saving into use! The good news is that the first stage needn't take all that long, leaving you free to crack on with changes that genuinely will change the way you live your life. A "Statement of Affairs" or SOA sounds terrifying, but in fact is as simple as a full list of everything you have to spend money on, and some of the things that you want to spend on too. For most people it will work best to look at a month as the time period - as this accounts for the majority of bills being paid monthly. Remember also though to account for the things that you pay out less often than that - and at this time of year, don't forget the Council Tax which many people will not have paid for the past couple of months! A good way of doing it is to brainstorm to start with, perhaps using one of the calculators found online (see MoneySavingExpert.com for more info on this) and then to use bank statements and credit card bills to fill in any gaps. That also helps you get a better grasp of what you're really spending for things like food, and entertainment, that often go out in small sums here and there. Last week's £20 supermarket "main shop" spend may look wonderful, but it may also not be representative of a "regular" week in your life, so it pays to work these things out with a bit more attention. The SOA, once completed, give you both your starting point for change, AND your ongoing monthly budget - it is not a static document - quite the opposite, it should evolve and change as time goes on and you identify more and more changes that you could make. Once you have your budget, live with it for a couple of months to see how it feels, this also lets you pick up on any areas where you've not been realistic at the first pass. During this time begin the process of stopping to think before you spend, and also start to set up a framework that will help you going forwards. If you have a car, then a regular monthly transfer into a savings account for the things you pay annually for it might be a good idea - so think insurance, road tax, MoT Test, servicing, tyres and other consumables. Add a bit extra on top for contingencies. If you currently pay for your road tax, or insurance, in monthly installments then aim to switch to paying annually as soon as you can as this method of payment costs extra. If you have any debts then this is also a good time to start diverting any excess money that you've identified over to the most expensive debt too - usually the most expensive will be the one with the highest interest rate - if all your debt in on 0% then it is generally the debt where that 0% rate will be ending the soonest. You should also think about using the same "setting aside" method as described for car expenses, for things like holiday, Christmas expenditure and unexpected household expenses. 1) Are you on the best possible deal for your gas & electric? Have you done a comparison lately to check? it's dead easy, and requires pretty much zero effort from you to actually change suppliers if you find you're being charged too much. 2) If you're not in contract with whoever you use for our telephone, broadband & TV package if you pay for these, then give them a call and say you're unhappy with their charges - most will reduce your payments in exchange for you signing up for a new contracted period. 3) Are you paying the right amount for your car and home insurances? (Clue - if you have let these auto-renew then you're almost certainly paying over the odds!) Do a price comparison and review. 4) Are you paying fees for an overdraft? If so, and your SOA shows a surplus, then work on avoiding use of the overdraft to start with, and so cutting these fees entirely! 5) Think about your food waste - not only does this cost money it's also appallingly bad for the environment. Meal planning and a "Fridge audit" before shopping trips can help with this - why not make dinner the night before you shop one where you routinely use up anything left over from the previous week that needs using up? 6) Keep a spending diary - this will note the little random spends that usually go unnoticed. 7) Step away from contactless - while you may choose to continue using a card (debit, ideally, unless you have a cashback credit card that you clear IN FULL every month) for your main shopping each week, why not withdraw cash for those little "pint of milk" visits to the supermarket - spending physical cash often makes us more mindful of what we're spending, while using Contactless tends to have the opposite effect. 8) Add up every penny you have spent on non-essentials for the past month - the figure may frighten you! If you have debt then aim to bring this figure down as far as possible, if not then you can still stop and think, do you need it, will you use it, is it worth what you're about to pay for it. This is about making sure that the money you spend has value, rather than "not spending" as such. 9) Think whether you may be able to reduce costs like travel that you've always viewed as set in stone. Does getting off the tube, train or bus on your commute make a difference to the cost of the fare? can you park a little further away and park for free rather than using the pricey multi-storey car park? Can you combine journeys, so shop on the way home from work for example, rather than taking the car out for a special trip? 10) Think twice about takeaways. And those easy pre-prepared foods that you may have fallen into the habit of buying when you shop. A news article this week informed us that "Chinese takeaway food is full of salt!" - well I have no idea about you but that was a bit of a non-story as far as I'm concerned - anyone who's stopped to actually taste what they are eating will not have been taken by surprise buy this news. We'll continue to eat it though because a takeaway is a treat, not a habit - and if we have two of them in a month that's a rarity. Ditch the sense of entitlement about "I deserve this" after a long day, make sure you have some super-quick to prepare good stuff in at home, and your purse AND your waistline will probably thank you! There's plenty more ways of making savings - but those 10 are relatively low effort and can achieve huge "quick fix" surpluses in your monthly budget, so that's where I'd always urge people to start looking. If you have debt, at the end of the month transfer 75% of any surplus over to the most expensive debt, and set aside the remaining 25% towards building an "emergency fund" - renters with no car should aim for £250 - £500, homeowners aim for £1000 - possibly a bit more if you have a car too - as a starting point. It is this "pot" of savings which will help you to avoid falling back into the trap of using credit - with the idea being that if the washing machine unexpectedly dies, you have cash sitting there waiting to spend on a repair or replacement, rather than reaching for the plastic. This year is feeling a bit upside down on the Island front. 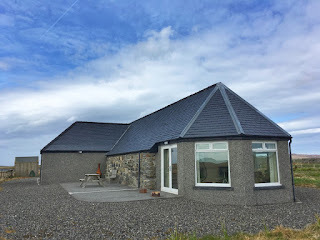 Of course we were in the Hebrides for Christmas which was wonderful - we had a glorious week in a lovely little cottage right next to a beach - can't be beaten, that! Normally at this time of year we would be beginning to think of all the things we need to do ahead of our main fortnight trip up there - but not this year as we've been invited to join a big group of pals for a trip to Lundy again instead at the same sort of time - so the main Hebrides holiday has been postponed until later in the year. It feels very odd that we are only now booking our accommodation for that fortnight! We've decided to re-book for the lovely cottage at Balranald where we stayed last year - it suited us well and we loved the location. Being within walking distance of our favourite RSPB reserve was a definite bonus and it makes a lovely circular walk on a day when we don't want to take the car out - we always try to avoid using the car at least one day while we're on the Islands. We did have somewhere else in mind to book as well, so a decision had to be made. We reverted to our old planning method of a Pro's and Cons list for each place, and then discussed that between ourselves to reach a conclusion. While there are some things that are really a "must have" for us when we're away for a fortnight now (a real fire, and a nice location close to beaches) there are others that are negotiable and we have found that writing a proper list of the advantages and disadvantages can really help to clarify things. This time around advantages included "A bit cheaper" on one, and "All electric included" on the other, which kind of balanced each other out a bit - but we decided in the end to book the less expensive one with limited electricity included, but to politely ask whether a bit more electric could be added in for us as we are booking for a fortnight at a less popular (and colder!) time of year - the answer came back "Yes, we can do that" right away which we were appreciative of. It's always nice when people will go that extra mile to thank you for repeat business, and this just confirmed that our decision to return is the right one. 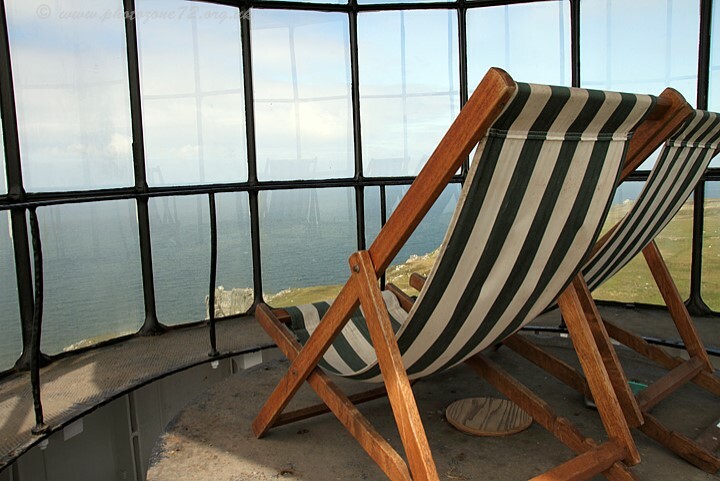 The views from that sunroom out over the machair are fabulous! While we were discussing our planning for this year's trip, it also suddenly occurred to us that if we want to switch our weeks back to our usual time of year for next year, we'd need to think about booking that pretty soon to so as to be sure to get the weeks we want in the accommodation we chose - and for that we've decided to take the plunge and book the other property that we were looking at for this year. A quick look revealed that for the different time of year that one was actually going to work out a little cheaper, and as none of the other "Cons" on that one's list were anything substantial, we've decided that a change will be good, and if it works out well it will give us another option for choosing our accommodation for future trips. It's in a beautiful location a little further around the west coast - and still has glorious walking right from the door in all directions. It's also an area we've said before that we'd like to explore better, so hopefully being right there will enable that. Yes, it does seem utterly crazy to be thinking about booking a 2019 trip already, but with the tendency of people re-booking for the following year directly after their current stay we really will have to get cracking on this within the next few months if we don't want to miss out. 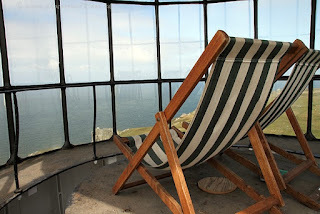 Definitely a "Room with a view" at the top of the Old Light! I mentioned Lundy above - well that isn't our only visit there this year as we have been invited to spend Christmas on the Island - with the same group we're going with in the Spring. 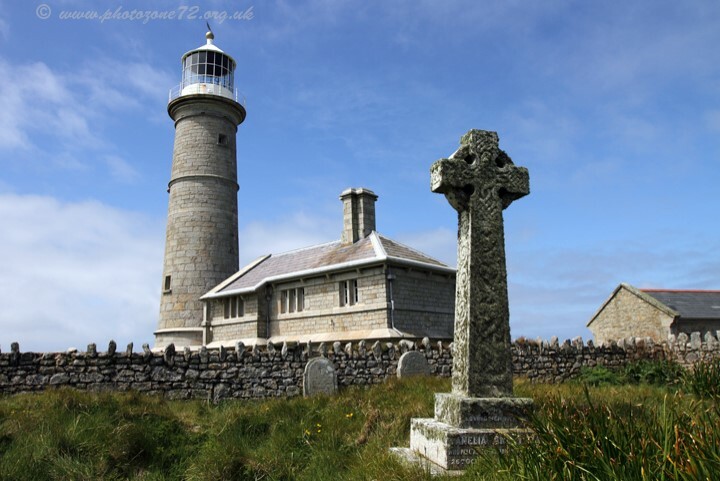 Availability of accommodation on the Island for Christmas and New Year can be a bit of a nightmare as the regulars tend to snap it up - our group have a couple of folk not able to attend this time and so we've been asked if we'd like to take their place - needless to say we jumped at the chance! We seem to have slipped into a bit of a pattern over the past few years of spending Christmas on an Island - with the last two years being on Benbecula of course - I'm vaguely hopeful that MrEH might avoid giving me a streaming cold for Christmas this year though - that would be rather nice! I have posted a couple of times here about my CAMRA activities - on how much fun and hard work the Great British Beer Festival is, and also on a trip to Norwich for the Annual Conference & Members Weekend a few years ago. The Campaign is facing a few struggles at the moment though - and it's that which has prompted me to write this post. Questions over our future have surfaced, and are rapidly seeming likely to split the Campaign in two, something which is quite horrible to contemplate to a long-term active member like myself. to that I would also add the important fact that we are a volunteer-led organisation -with our many successful beer festivals around the country being run and staffed by a volunteer workforce. Although for some festivals people receive their accommodation and food on a subsidised basis, no actual payment is made for the many hours tirelessly offered by those who do it purely for the love of Real Ale (and Real Cider & Perry), the campaign and the massive social scene that has grown around our activities. The majority of the active members are incredibly proud to be involved with such a vibrant and enthusiastic organisation - indeed most of us will shout it from the rooftops at any opportunity! The UK beer scene has changed massively in the past few years, let alone since CAMRA was formed back in the early 70's. (Coincidentally at around the same time I was formed...make of that what you will!) and continues to grow apace with the advent of "craft" beer. What is craft beer, you might be asking? Well yes, that's a question. The truth of it is that nobody actually knows what is meant by the term "craft beer" - it kind of doesn't mean anything. Brains and Adnams breweries, two of Britain's big regionals, both brew "craft" beers, so it isn't related to brewery size, "craft" beers are sold in cans, bottles and in over the bar dispense, so it's not related to serving method. The ingredients are mostly pretty much the same as for cask conditioned beer, and indeed some craft beers are also Real Ales - perhaps in fact all Real Ales are actually craft beers too? Real Ale is also brewed by breweries ranging from huge enterprises right down to "one man and his dog in a shed" sized, and perhaps most surprisingly to a lot of folk Real Ale can be found in cask form, bottles and indeed cans. What can't under any circumstances be said though is to suggest that all craft beer is Real Ale - that's a long way from the truth. Real Ale has a solid stated definition, and has to contain live yeast to be considered "Real" - in fact at the Great British Beer Festival we have access to clever microscope wielding folk that can show you the little...ummm...yeasts....floating (swimming?) about. High tech indeed! With a name like the Campaign For Real Ale you'd think it was pretty well established what we're in favour of - it's pretty up front and out there, and if anyone had signed up and was taken by surprise by it, then I'd be amazed. As for what we're against - well, nothing really. We're not keen on bad pubs, definitely not keen on closed pubs, and not big fans of the sorts of people who would tell you that drinking is evil regardless of quantity or quality. Against though? No, nothing. People drink lager? Fine - most of us tend not to - and we'll have a great go at introducing the average lager drinker to something with a bit more taste and a lot more provenance. If you want to carry on drinking lager though it's a rare CAMRA member who will berate you for it. Similarly a lot of our members drink non Real Ales at least sometimes - from a bottle perhaps, or in some cases a "craft" keg beer in a pub. Grand - each to their own, their choice even if not for me, but if it's not Real Ale, realistically, nobody would expect the Campaign for Real Ale to be actively supporting it, would they? And there is the sticking point - as seemingly there is a number of folk out there who rather than thinking "Hmmm...I like drinking this tasty keg stuff, but it's not Real Ale. Hey, tell you what, why don't I join an organisation that supports and promotes that?!" (like the Campaign for Really Good Beer for example - which already exists! ), prefer instead to change a different existing Campaign (CAMRA) to suit their end. Logic would say that two strong organisations with like-minded individuals, and many "in common" interests like pubs, pub-based socialising, and a vibrant UK beer & brewing scene, could work together on the things that they were in agreement on, and perhaps even be stronger that way, no? A lot of the debate on the subject is in the usual way of things within CAMRA, good natured. Talked out online, or over a pint in the pub, people disagree, but agree to disagree. As ever though a minority are refusing to listen to any other point of view to their own, to see anything good in the subject of change at all, shouting down those who don't share their view or choosing intimidation as the best way of trying to silence opposing views. Couple that with a very opaque and one-sided presentation of the changes that are being proposed, and a lot of conflict is resulting, leading to bad-feeling and in some cases real unpleasantness. People have put forward reasonable requests for the right to present an alternative view, and have been declined. (Our local branch has gone ahead regardless and emailed all local members on the subject.) Others have suggested that a clear statement of intent could be issued to clarify what is meant by a particular phrase which is currently causing a lot of worry - and so far nothing has appeared on that, either. This has lead to misunderstanding and suspicion from some folk, along with a groundswell of protectiveness towards the Campaign from many of those who are most involved with it - all we truly want is clarification and a clear statement, in order that we can make our minds up on the proposals with a full picture to work with - and without that it's almost impossible to do anything other than vote against, as to vote for the proposals in full as drafted currently means that we'd potentially be allowing a dramatic change to the raison d'etre for the Campaign that we are members of. Fact over speculation is invariably helpful in these sorts of situations, and the thing that is frustrating most of the more level headed members currently seems to be the lack of clarity on one of the key points and the unwillingness to allow the other side of the argument to be heard. with just 6 weeks to go now until the members weekend and conference, it now feels as though time is running out to reach a sensible conclusion to this. The more attentive among you will have spotted that I completed my Frugal February challenge and called it a success. That's not the only success I had with my challenges during February though! I mentioned at the end of my Exercise Every Day challenge in January that I'd set myself a little challenge for February too - this one being to do a full minute of push-ups and a full minute of sit-ups each day during February - and as an afterthought I decided to sandwich the two things together with a plank, too - starting at 30 seconds and working my way up to a minute by the end of the month. Doesn't sound like much, that, does it? Right then - unless you're a superfit athletic type (or in the military with a recent fitness test under your belt!) go and give it a try. Yes - now you know what I was dealing with! I started out able to do around 30 seconds of full push-ups before having to drop to my knees to the modified version - and I was unable to get myself up in a sit-up without having my feet held. The 30 second plank I felt was no massive issue - hence using that as a starting point, and in fact immediately after doing push-ups I rapidly realised it did prove to be more of a challenge anyway! MrEH suggested that I worked on the sit-ups using my arms in a sort of pendulum movement to help me swing myself up and forwards - and initially this idea worked very well - until I started suffering from some lower back pain. A bit of scrutiny revealed that I was pulling myself up unevenly probably due to an imbalance in my core, and further investigation also showed that the hamstring in my right leg is a lot tighter than the one in my left - the two things are almost certainly combining to cause the back pain. When I made the connection between the sit-ups and the pain I stepped back to doing them with my feet lightly held instead, but focusing on the form and on ensuring that I kept the motion even. The push-ups weren't without their issues either - upper body strength is incredibly difficult to build up and I found trying to increase these a real challenge. Added to that I had underestimated the effect of doing them every day on a rather weak and prone to strains right wrist - sure enough by 20 days in it had begun to get quite sore, and for a few days towards the end I had to substitute a minute of squats for the push-ups (Not entirely a fail, as until recently I couldn't do squats either!). On the final day of the month though I did indeed manage - just - a minute of full push-ups which felt like a real triumph - just to realise I could do that! The plank built steadily up over the month to the full minute too - and I then started March by doing a 2 minute one at the Gym on Thursday night! I missed just one day - at the start of the final week when I was struggling with health stuff generally and just completely and utterly forgot about the challenge until the following day - and I'm kicking myself about that! I guess technically I shouldn't call it a success regardless - but I am, as in spite of missing the day I did get there with the full minute of both push-ups and plank, and the sit-ups albeit with feet held. I can see a distinct difference in my body shape as a result of the month and feel stronger through my arms and shoulders too. Countdown from 10 seconds to go...and we were off. Except the back of the field weren't going anywhere immediately of course as it takes a while to get that many runners, running! The rain was still pouring down and I rapidly realised that all my plans regarding using my phone for timing and pace were going to have to be scrapped as if I'd kept it out it would have drowned by about the first kilometre! Instead I just hit the button to start Strava recording and shoved the phone into my running belt with crossed fingers that it would survive. The next problem was that I'd totally forgotten to pop contact lenses in my bag to run in - and heavy rain + glasses = zero vision every time you approach a brightly lit area! I first encountered this literally as I went through the start line and it kept causing me problems at regular intervals further round the course, too. With my original plan scrapped due to lack of useability of my phone, I changed tack deciding to keep to a steady pace but then kick on a bit at each slightly uphill section - it was a 2 lap course so I knew I could use the first lap to get to grips with it and then on the second I'd know where I wanted to turn the speed up a bit towards the finish - and as a strategy this actually worked well. The course was relatively flat but the few gently upwards sloping patches gave me the chance to push myself a bit and each time I actually passed people who'd slowed a bit giving me (although probably not them!) a bit of a psychological boost. By the time I hit the final one of these - also the steepest and within half a K of the finish - for the second time it was time to start speeding up, and I managed a full on sprint finish sloshing and squelching in my sodden trainers over the line to receive my lovely shiny medal! The time on the clock was 30m30sec which I confess to being a bit disappointed with until MrEH reminded me that the clock had started on the official start, but I'd not passed through the start until later, so my chip time would be different - sure enough on looking a little later I got confirmation of a 29:36 time - very respectable for a first timer particularly in those conditions! Strava in fact recorded my "pure" 5k distance (the race course was very slightly over) as sub-29 - just! It was without question the hardest run I've done and I was hugely gratified the following day to see serious runners on social media describing the conditions as dreadful, and some of the worst they have run in - firstly it's nice to know that it wasn't just me being wimpy, thinking like that, and secondly I reckon if I can run in that, I can run in anything! It also thoroughly confirmed to me that I really don't enjoy running in the rain - from the trainers filled with freezing cold water to the sopping wet tangled hair, it's really not for me, and while I'd do it again in the same circumstances I certainly won't be popping out for a run in torrential rain any time soon! Well, unless I've paid to do so, obviously...! Last weekend was, as I predicted, quite high-spend. I did moderate where I could though - choosing the more time consuming walk > Bus > Tube route into Central London rather than walking to the station and getting the train. I popped into Boots and bought a sandwich, crisps and a fruit & nut snack for the train journey so I had lunch to hand, using my advantage card points so that was cash neutral, and took a bottle of water from home which I refilled over the weekend as needed. I used the time on the train to go through the Credit Card bill for last month and do the money shuffling for that so that was time well used too. The accommodation in Derby had been chosen for convenience as it was just a mile and a half from the Festival venue so I walked there to drop my bag, and back to the venue, then my friend and I walked back there at the end of the night. Food at the festival is well priced and good quality as it's done by the students at the catering college - I had an extremely good pie and a pile of fantastic chips for £4.75 - bargain and just the sort of food that's needed at a beer festival! Saturday Tony and I had to travel across to Norwich so we chose to just grab breakfast at the Travelodge which I paid for. It was an all you can eat buffet thing and I like to think we both got our money's worth! Tony then covered the cost of the fuel for the journey. Saturday continued in much the same vein - with the spends all being beer and food - there are worse ways to spend a weekend! All costs apart from the food were paid in cash - the food went on the CC and will be paid for from my "fun budget" - and that's the key of course, it's budgeted for! The rest of the spending just came from my regular spending money. On Sunday we started the day with a much needed breakfast (Wetherspooons - always a post beer-festival favourite!) paid for in cash, and then MrEH and I came home via one of our favourite RSPB reserves and naturally partook of the tea & cake in their cafe (Delicious caramel shortbreads!). The rest of the week has been almost spend free - the weather has pretty much seen to that! I did finally get to the gym last night (£7) which was a good thing as I was pretty much suffering from cabin fever by then, and if all has gone to plan I will have gone swimming this morning - but need to check first if the pool will actually be open! There has been spending this month - on accommodation for various trips away. I've explored Air BnB for the first time and realised that sometimes you can find somewhere on there where there is no availability on the other sites we use, and sometimes you can find somewhere that is a lot better value than the other booking sites too. We'll probably let the first of those bookings happen before we book through there again, but so far we're impressed. I've returned to using the PetrolPrices website for checking local best prices for diesel for the cars, and have topped mine up twice in Lincoln where prices are frequently a few pence lower than at home. MrEH has been making use of Morrisons where possible as they are frequently the cheapest for the areas he fuels up in AND we get "More" Points each time of course. As I said at the start of the month it was never going to be the "to the bone" frugality of previous occasions, but I'd say that it certainly has served its purpose. It's made me think, and swap back to using cash far more and contactless far less. I've bought no clothes this month and have taken the time to come up with a far more structured list of the things I do still need. I've set up a new savings account to put money aside monthly for necessary clothing purchases and will add to that each month. It's made us use up things we have, and stop to think before routinely replacing items. It's re-focused us on stopping to think about whether a deal is REALLY a good deal, and worth using, or not. I've batch cooked, doubled up on quantities, made good use of the oven when I've switched it on and made sure every scrap of food we've bought has found a use. Spending has been considered rather than habitual or mindless. And the result is that we've ended the month with a very healthy surplus in the joint account, and I've finished up with a small but significant surplus in my personal account too. There's no question in my mind as to the value of a month every now and again when we just back the truck up a bit and reinforce the good habits. All in all - mission accomplished!